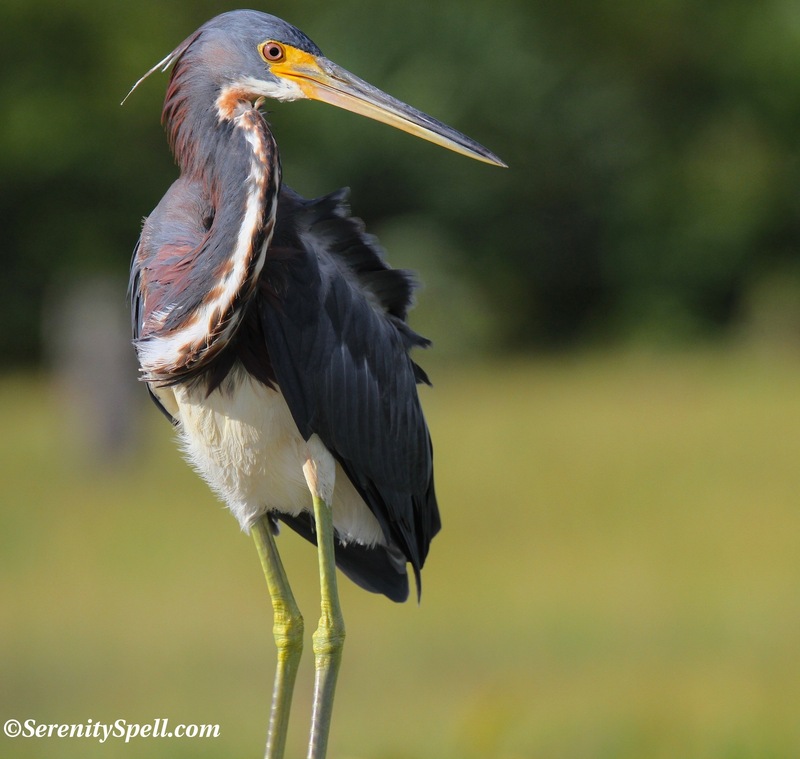 I adore the Tricolored (or Louisiana) Herons: They’re colorful and spirited characters of our wetlands and swamps. This fellow landed beside me on a recent walk, and proceeded to hack up a recent meal — something had obviously gotten stuck in that long, elegant throat of his. All was well eventually, but not after a 20-minute show. 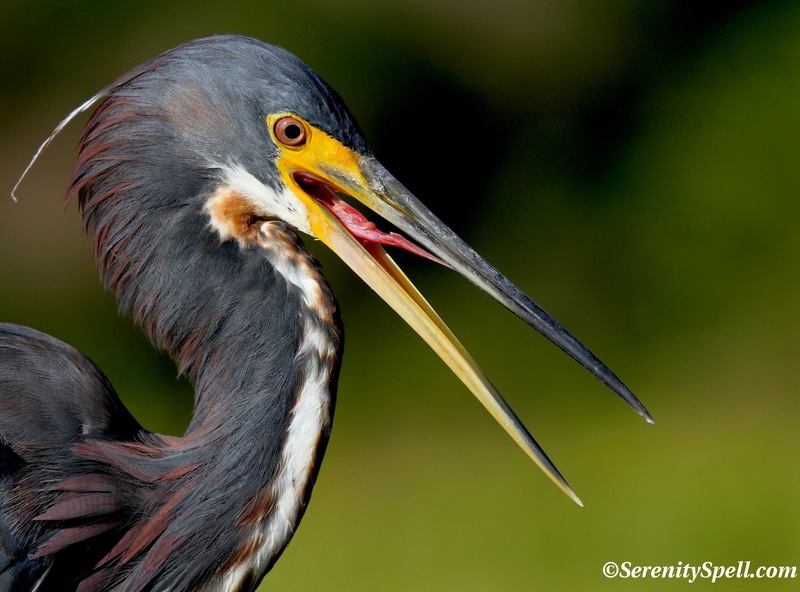 Tricolored (Louisiana) Heron, Florida Wetlands: I am so lovely and elegant, yes? Excusey, I seem to have something in my throat…. Hee, that’s wonderful — I’m so glad! This guy was so entertaining for me, once I realized he was OK. And they’re just so lovely. Such a character! Very nicely done!!! It is always so much fun to write little snip-its under pictures. You have put a smile on my face. Thank you!! Ah, I’m so glad! This guy was so entertaining for me (once I realized he was OK of course) — and they’re just so lovely. Such a character! love the last photo–esp because his hair-don’t is just like mine! Haaaaa!!! Isn’t that the greatest?! I like your UN-self-conscious hairdo, Miss. A woman after my own heart! good morning again. this showed up this a.m. and I thought you’d enjoy. –L. Hmmmm…. I can’t seem to see anything, drats! You must have been worried sick, no pun intended. Enjoyed these shots a lot! Super nice detail!! Guess the mating season is over, he’s got his yellow lore back and the ruby eyes are beginning to fade to yellow again!! No more buff aigrettes present either!! Your sub-titles are adorable!! What a beautiful fellow! Love the eyes! Thanks so much! It definitely helps being so close…. Very lucky in that regard! Oh Nice! I thought you were using a telephoto with perhaps an extender. You must get really close to these guys ! Beautiful shots! Love the “hack” shot. What a tongue! Love the last …shake it off. Hee, that’s my favorite as well! Love the hair. Tussled. Stunning photographs. I just adore Herons – so particularly love this! I must once again express my admiration over your bird pics, birds are soo difficúlt! Wow – these shots are amazing. The yellow stockings! OMG! Malvolio! Heeeeee!!! So true! You’re so funny. He was SUCH a character. He’s even beautiful while he’s gagging. Gorgeous photos, and your comments are hilarious. What a stunner this heron is! Your photos are just incredible! Fabulous is all I can say! Stunning photographs. 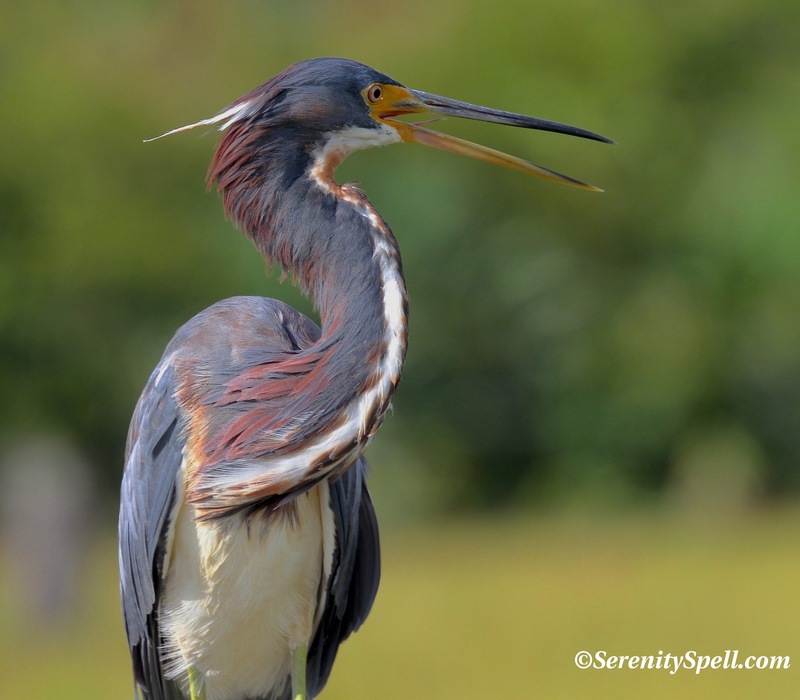 I had never seen a tri-colored heron before. What a beautiful bird, beautifully photographed. I’m glad it was able to clear its throat. Aren’t they gorgeous? 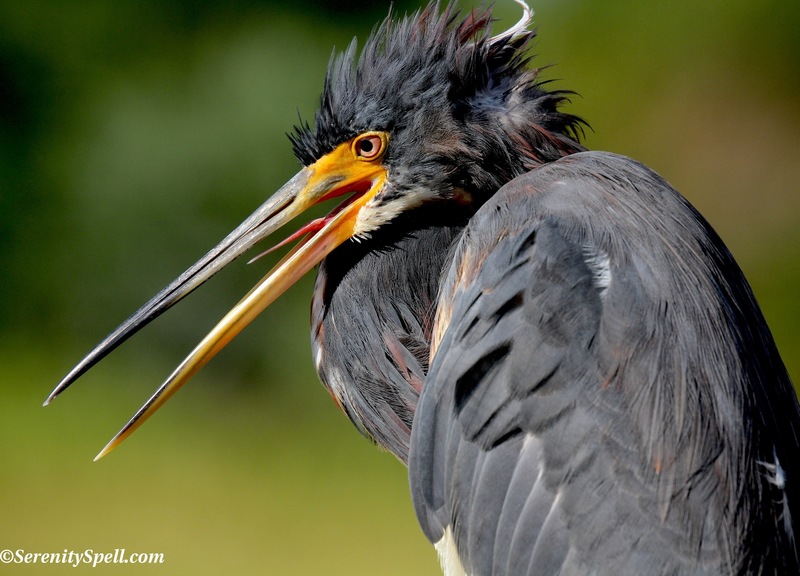 They have such lovely colorations… And the juveniles and breeding tri-coloreds are even more brilliant (I think I have a few images of both on the Tri-colored heron page, under “Wildlife”). Super portraits of the always beautiful tri! Great personality really does come through with these images! Gorgeous photos of a stunning bird! Pretty funny behavior to witness too. Awesome! Thanks for stopping by my blog. these shots are wonderful. I am fascinated by the great blue herons that live at my lake. Your art is beautiful! And thanks so much… I have many images of our Great Blues — they’re just magnificent creatures!